The Directors of Ixion Model Railways are pleased to announce that their next model will be the New South Wales Government Railways 32 Class 4-6-0 tender locomotive in HO (1:87) scale. This model will represent the class in it's original low-frame (P Class) configuration. This variation has only previously been available ready-to-run in limited-run hand-built unpainted brass, and that was in the last century! These locomotives were the universal workhorses of the NSWGR, working suburban, mainline and branchline passenger, goods and mixed trains. 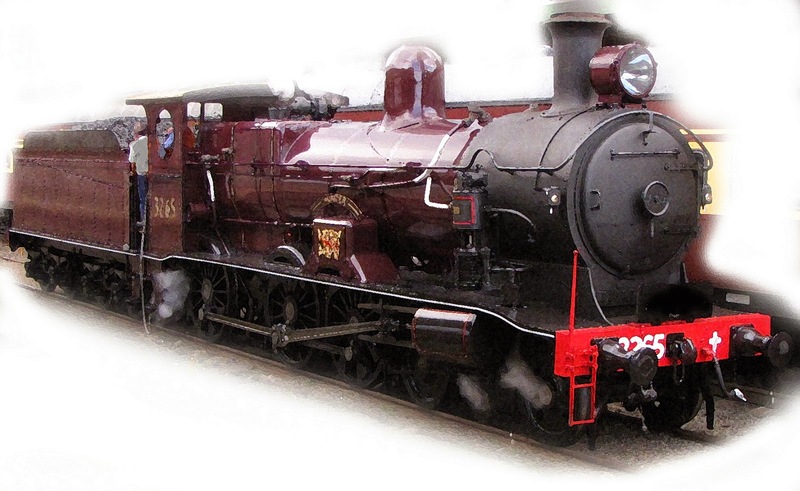 One low-frame member of the class has been preserved - 3265, pictured below in its preserved maroon livery. The engines displayed many variations in their lifetime. The model will be paired with an ex-50 Class standard goods bogie tender. Whilst the computer-generated 3D drawings are still being finalised, we have asked the factory to look at the options of including both saturated and superheated versions, with both angled and curved running plates. Liveries are likely to include lined green, service black and the preserved maroon. More information will be available as we receive it from our factory. Delivery is expected sometime in the third or fourth quarter of 2015. Your feedback would be welcomed. Email us at info@ixionmodels.com . Estimated cost at this point is $550 - currency fluctuations prevent us being more specific until we have paid for the run. We may offer a special lower pre-release price for fully paid orders; would an arrangement like that be of interest to you?